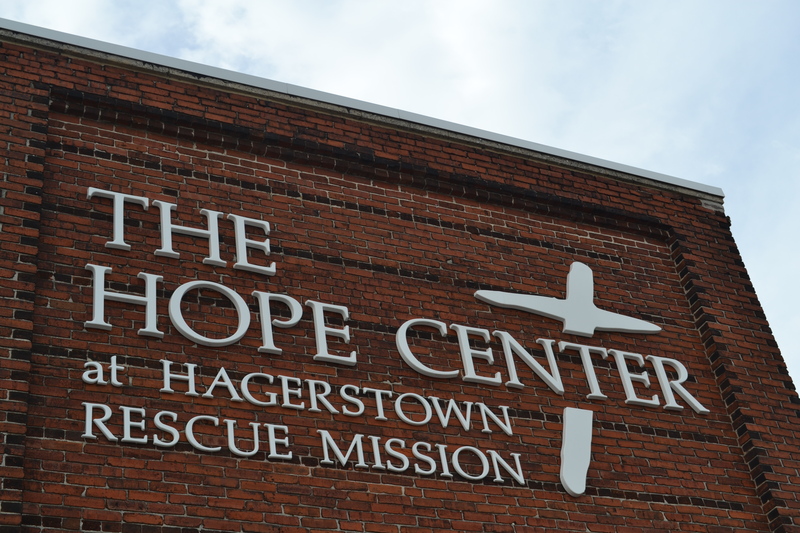 Since 1955, The Hope Center at Hagerstown Rescue Mission as been helping people in need in multiple ways. Some people think that we are just an alcohol & drug rehabilitation facility. Others think that we just give food to the hungry. There are some who think we just provide housing to the homeless. All of those assumptions are correct! We are a multi-faceted facility that is geared to providing free assistance to many different people in many different situations. From providing overnight shelter to homeless men, to supplying hungry families with bags of groceries, to helping desperate men overcome their addictions, to providing free lunches and dinners to hungry neighbors, to hosting free summer day camps for at-risk kids, The Hope Center at Hagerstown Rescue Mission works hard everyday, all year long to meet the needs of those who need help. And we provide all of these services free of charge and without any tax-payer funding. You read that right. We do not take any tax money from the government. All of our support is provided by faithful friends and supporters in the community. From churches, to individuals, to social clubs and local businesses, our facility is all about neighbors helping neighbors. Camp Wild is a free day camp for four weeks of the summer for at-risk kids in Hagerstown and surrounding communities. Your gift helps to keep this camp free for hundreds of kids in the Hub City. When you purchase anything from one of our Thrift Stores* in Hagerstown or Chambersburg, you’ve helped to provide a much needed service to someone in need. The funds generated from sales in our stores help to keep our facility free for anyone, day or night, all year long. Since 1955, we’ve been here. Providing shelter to the homeless. Providing food to the hungry. Providing help to the addicted. Providing hope to the desperate. As we are currently experiencing extremely cold temperatures, please know that our doors are always open to provide a hot meal, a warm shower and a comfortable bed to someone in need. And with your continued support we are able to do this work tomorrow, and the next day and the next. Thank you for shopping at our Thrift Stores. Thank you for donating your gently used clothing, furniture & household items. Thank you for volunteering your time. Thank you for your financial support. And thank you for your prayers. For more info about how you can help support the many programs at The Hope Center, how you can get involved as a volunteer, or how you can donate food items or gently used items, please call 301.739.1165, email hagerstownrescue@verizon.net or go to www.hagerstownrescue.org. *We have two Thrift Stores for your shopping convenience. Our Hagerstown store is located on the corner of Church & Walnut streets and is open from 9am-5pm, Monday thru Saturday. Our Chambersburg store is located at 64 S. Main Street and is open from 8:30am-4:15pm, Monday thru Saturday. Now that summer is officially over, we are preparing for the winter weather and the increase of those who will need assistance. As the nights grow longer, many of the people we minister to will be forced to change their sleeping habits. Many of them will seek shelter and other assistance here at The Hope Center. Of course, winter is the worst time of year for homeless & needy people. Displaced people look for shelter in abandoned buildings, cars or vans and even beneath bridge overpasses. Those with fixed incomes or those that live below the poverty line spend a large portion of their income to heat their homes leaving little left for groceries. Thank God for The Hope Center which is open 24 hours a day, 365 days a year! We can provide shelter, warm food, showers & toiletries, food bags and clothing/houseware assistance to people in need. In addition to meeting the physical needs of our neighbors, we also reach out to their spiritual needs as well. 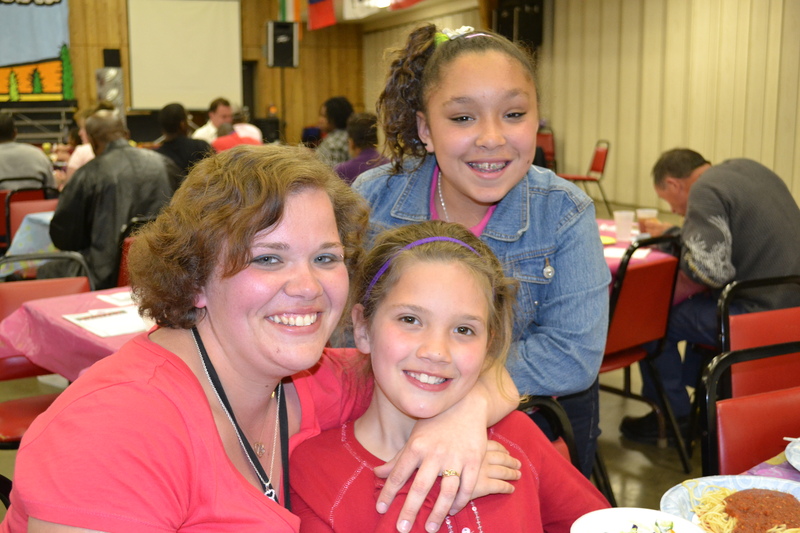 From daily chapel services, to Wildside kids activities, to Koffee Klatch, our weekly ladies Bible study, The Hope Center at Hagerstown Rescue Mission is here to give hope to anyone who needs it! Giving hope and changing lives since 1955 is not just a slogan – it’s what The Hope Center is all about! With each new day, God grants each of us the hope of something better. And that’s why we do what we do at The Hope Center. Because of your generous donations and continued support we’ve been able to reach thousands of people in Hagerstown! We want you to encourage you by sharing some statistics from the month of August. Your faithful support of God’s work here at The Hope Center is truly helping to make a difference in the lives of men, women & kids! Thank you for your compassionate heart and for your part in restoring hope in the lives of hundreds of men, women and families! We are so grateful for your parternship with us! If you are interested in volunteering, including serving on Thanksgiving Day, or would like to learn how you can partner with us to bring hope to Hagerstown, please call 301.739.1165 or email hagerstownrescue@verizon.net for more info. We Love Our Sorting Room Ladies! Ever wonder what happens to all your stuff when you donate it? We have a small but fantastic group of lovely ladies who help to sort everything that is donated. From shoes to blankets to sweaters and toys, these women open bag after bag full of donated goods. When your goods are dropped off on the Sorting Building dock, they are loaded into a cart and then sorted into different carts based on the product. Once they are in the proper cart, a sorting lady will then begin the process of pricing. Once items have been given a great value price for our stores, they are then moved to boxes that will then be taken to our Hagerstown store or our other store in downtown Chambersburg. Out-of-season clothing or other seasonal/holiday items are sorted and placed in storage in the Sorting Building until the proper time. As the seasons change, so can the stock of items in our stores! But not all of your donated goods may actually ever see the rack in our Thrift Stores. Whenever individuals or families are in need of clothing, housewares, blankets, etc., they fill out a family relief form in the Administrative Office. This form will allow them to list the items, and sizes if necessary, needed to help them get back on track. Once the form is completed, it is sent to the Sorting Building for one of the ladies to pull the items, free of charge, for the family. If all of the items are available, the form is sent back to the office and the family can pick up the items. We do all we can to make sure that families receive the items listed on the form but there are times when we just don’t have some of the items that a family requests. But when we do have them, we are happy to give them to people in need. 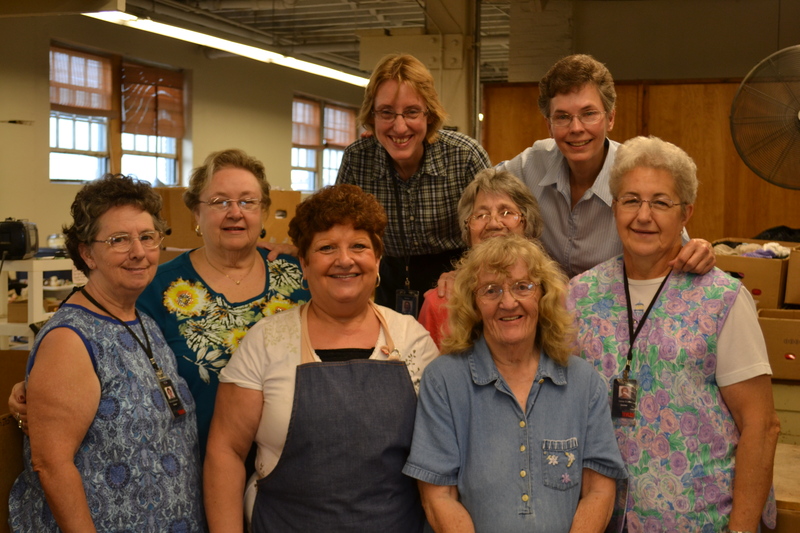 The ladies in the Sorting Building, some are staff and some are volunteer, help to keep this ministry running. We’re so thankful for their part in this ministry of hope to the community. They may be behind-the-scenes but their impact is seen and felt each day! They work hard to keep our stores full of items for people on budgets to purchase and they help to fulfill the tangible needs of desperate families. Whether your donated goods are being given to people in need or being priced at rock-bottom prices in our Thrift Stores, your donation is helping to change lives. The profits generated from the sale of your donated items help to keep our doors open for people in need of food and shelter. So when you donate something that you don’t need anymore, you are really helping people in need in one way or another. That bag of “old” clothing, shoes or housewares can mean a fresh start for a family or provide a feeling of hope of good things to come for a homeless person. You are allowing us the opportunity to show God’s love to so many who otherwise may never truly see God at work. It’s not just about dropping off bags of used goods. It’s about using those goods to change lives for eternity. Thank you for supporting the ministry of HOPE to your neighbors. Please remember us when you’re cleaning out your closets or basement. Tell your friends and neighbors to remember us too. Thank you, again, for giving! Keep on keepin’ on!